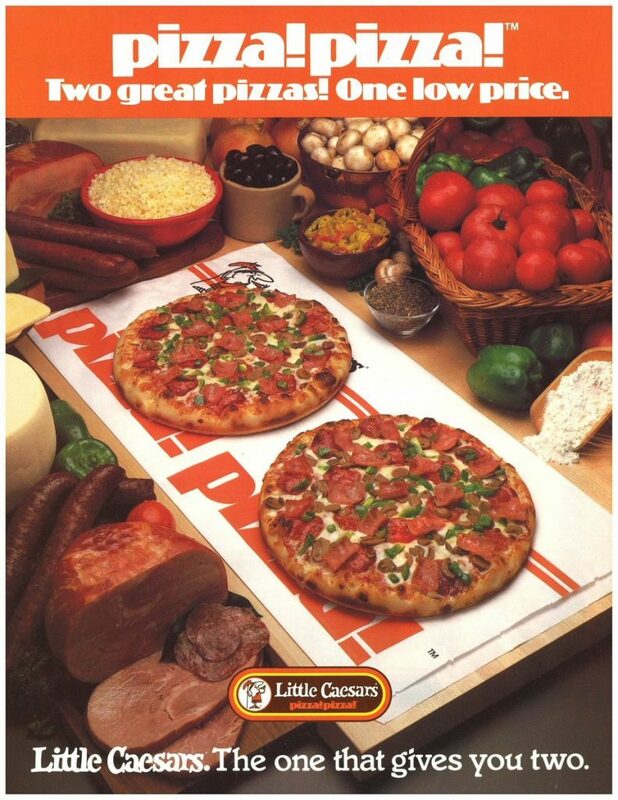 Do you remember years ago when Little Caesar’s was famous for the fact that if you bought one pizza, you actually got two pizzas? They even had a commercial where the guy would insist on then paying for two and he’d get four. Then he’d insist on paying for four and he’d get eight. This went on and on and the commercial was as annoying as it sounds! It was a cool promotion, but the problem was they advertised this EVERYWHERE. So while you got two pizzas for one price, because you knew it ahead of time, you expected two pizzas when you picked up your order. You weren’t surprised or “Wow’d” at all. In fact as a hungry teenage boy at the time, if I went to pick up my order and there was only one, that’d have been a major problem. I’d have been fine but the rest of my family would have gone hungry! Compare this to one of my favorite restaurants in Chicago, Folklore. It’s an Argentine Restaurant with great food at an amazing value. Great food in Chicago is easy to find, but at a great price, that’s a bit more challenging. According to the menu the El Filet is a “range grown filet mignon grilled, topped with red onion wine sauce & served with spinach mashed potatoes” and it’s only $29. The thing is, when they bring out your plate, it’s NOT one filet mignon, but two filets…and these aren’t medallions or anything here…they are big freaking filets! Plus you get enough potatoes to take care of Ireland during the next famine. BAM! I just went from happy to ecstatic. I’ve now got a great meal for tonight and a meal tomorrow and I’m “wow’d”! This is “Planned Overdelivery” and it’s Elon Musk Strategy Number Two! That’s choreographed “Planned Overdelivery” and it got them millions of dollars worth of free publicity and created a media buzz any other car company would kill for. And, in the future when they announce a product roll-out or demo, do you think more people or less people will be tuned in? Contrast this with what most companies would do which is simply roll out the product they promised. And while it could be a great product…they’ve simply managed to meet expectations. We’ve all heard the phrase “Under Promise and Over Deliver” and while it sounds good, kinda, the sad fact of the matter is many businesses don’t even deliver on the promise…much less over-deliver. 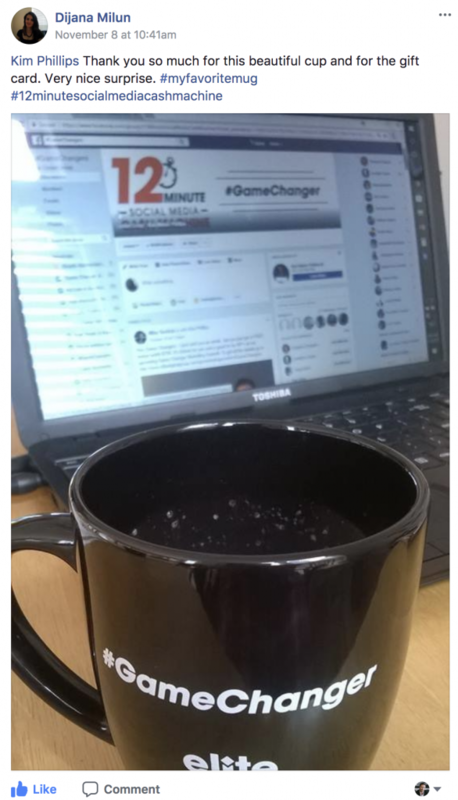 But that’s why those who do can instantly set themselves apart from everyone, and get more customers by referral using this strategy. Geez Spencer…you had me at “howdy”. 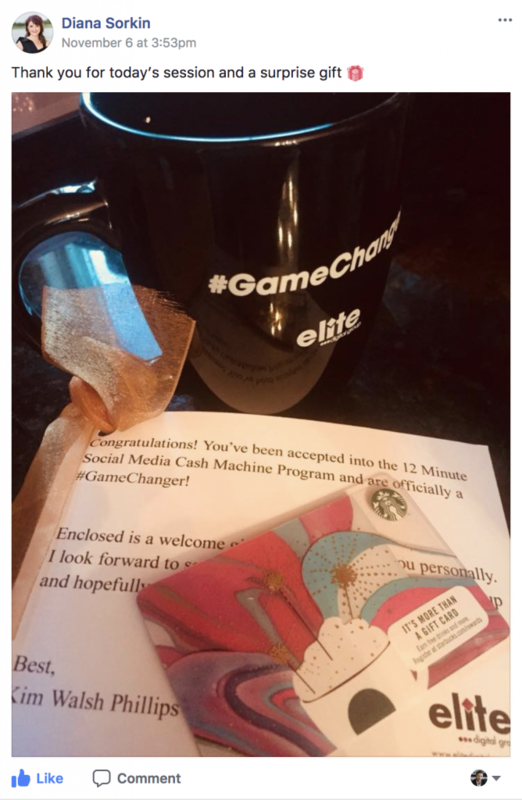 Really though this was a little gift we sent out to the very smart and successful people who invested in our newest program, the 12 Minute Social Media Cash Machine. The investment in the program is thousands of dollars, so we wanted to send out a little thank you gift. And while the gift was little, the response was freaking huge. We’ve had hundreds of thank you emails, posts and photos from people about this little unexpected surprise. (I’ve included others at the bottom of the blog). Or take a conference we recently attended put on by our friends Jeremy Weiss and John Corcoran. They had you fill out a questionnaire ahead of time with many serious business questions and then some quirky, fun ones, including what’re your favorite snacks? When you got to the conference, each person, had on their chair and industrial sized box, container, etc…of whatever it was they had put down as their favorite snacks. Sure beats those weird mint candies on the table! 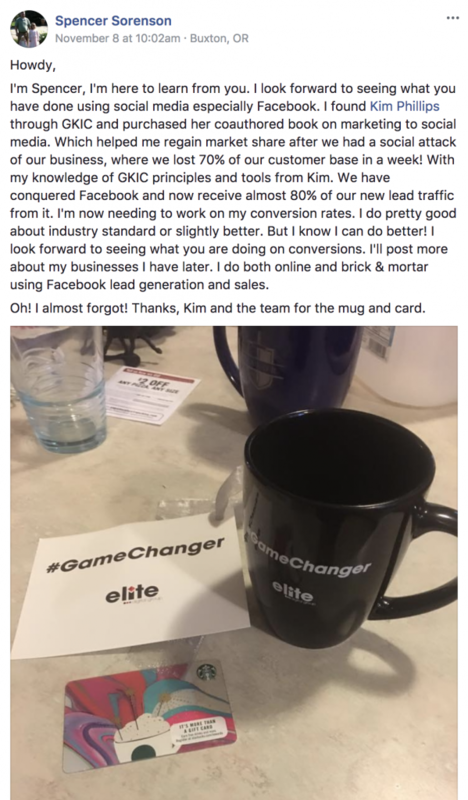 This was a 2-day event that runs mid four-figures to attend and while you’re certainly not coming for free snacks, it was the little, planned Over Delivery items that truly stood out and had me telling people about it! Or…back when I was in real estate it was common to give gifts to clients when they bought or sold a home. 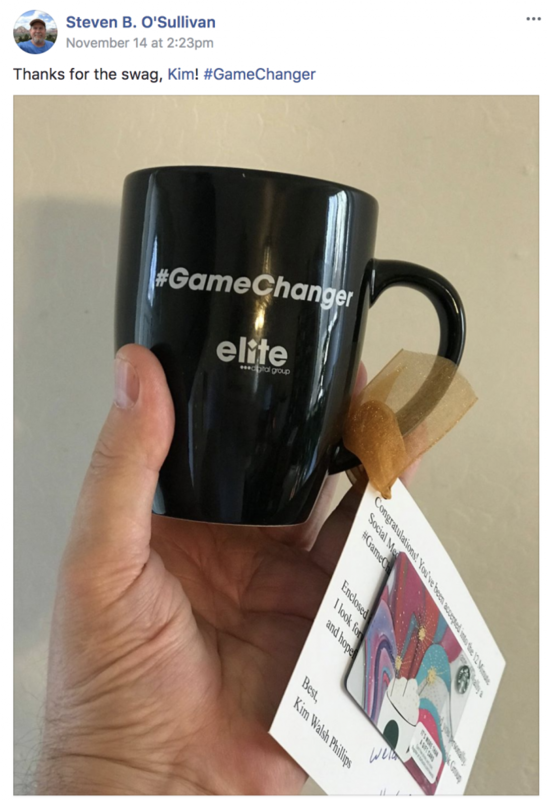 What wasn’t common was to send a gift after the first meeting before I’d made any money and even before I officially had them as a client. But during the process of meeting the first time I’d get the name and address of where they worked as part of the consultation. What do you think was delivered at their office two days later with a note from their “not yet” Realtor? 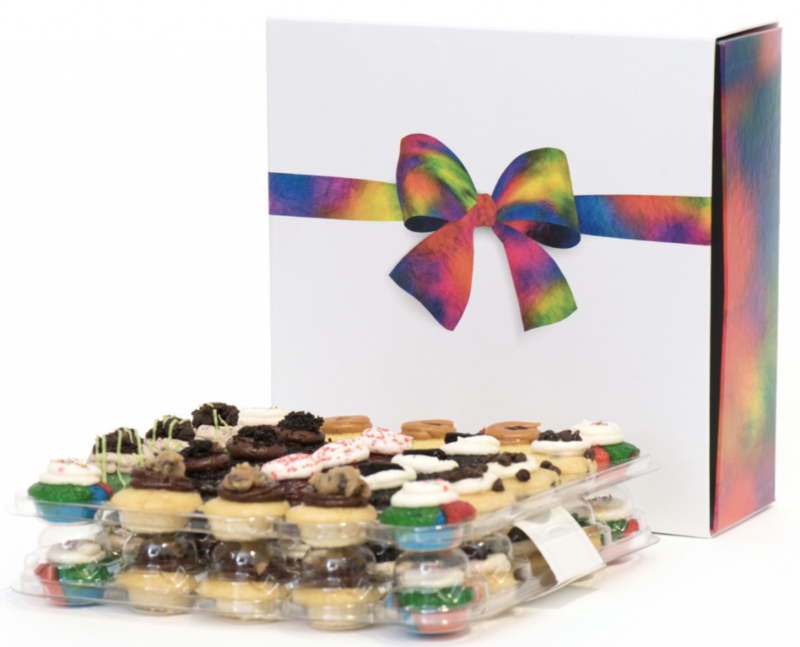 If you said delicious baked goods for them to share with their office mates, you’d be right! And what do you think the first question their co-workers ask as they stuff their face? “Who sent you those?” Maybe there’s a reason 80%+ of my business came in by referral by my 3rd year in real estate. Planned Overdelivery can also be phone call after with a check-in or an invitation to a special event. Planned Overdelivery can be telling someone you’ll have their project done in two weeks when you know you’ll have it in one. It doesn’t have to be huge…it can be something small but the point is…you plan it! Every client, customer, or patient, is going to get it every time they do a certain action. You can change it up, but it become part of the routine. What if every time you went to the dentist’s office instead of waiting in the “reception area” that smells like, well a dental office. You were escorted to a room with a massage chair, calming music and something that didn’t smell like drilled teeth while you waited. Do you think you’d tell less people or more people about your experience? Planned Overdelivery creates excitement and exceeds people’s expectations and doesn’t make you better than your competition, it makes you different than your competition…so you’re now in a category of one! 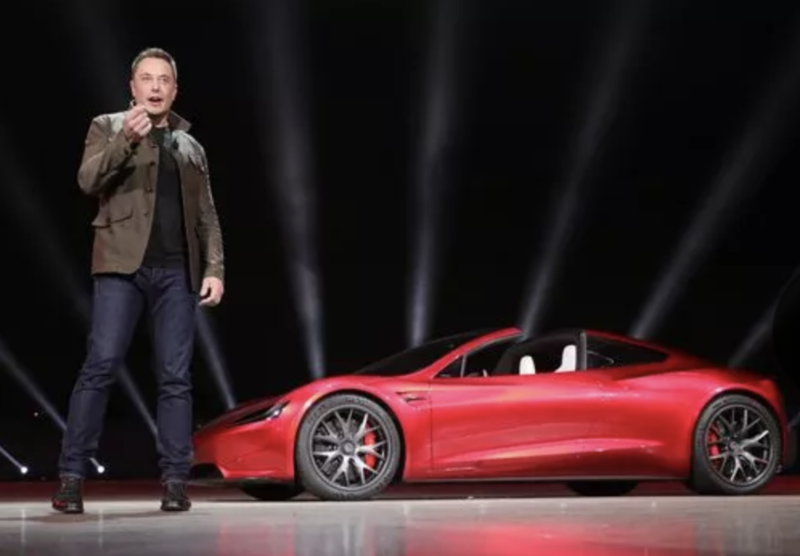 While there are a million ideas, and you don’t need to roll out a Tesla Roadster to “WOW” people. Start with one thing you could do for your customers that’d surprise them. A small thing that stands out that they didn’t know was coming that creates a “referable moment”. All you need to do it to PLAN to OVERDELIVER and have the process mapped out and automated, and don’t tell your clients about it. 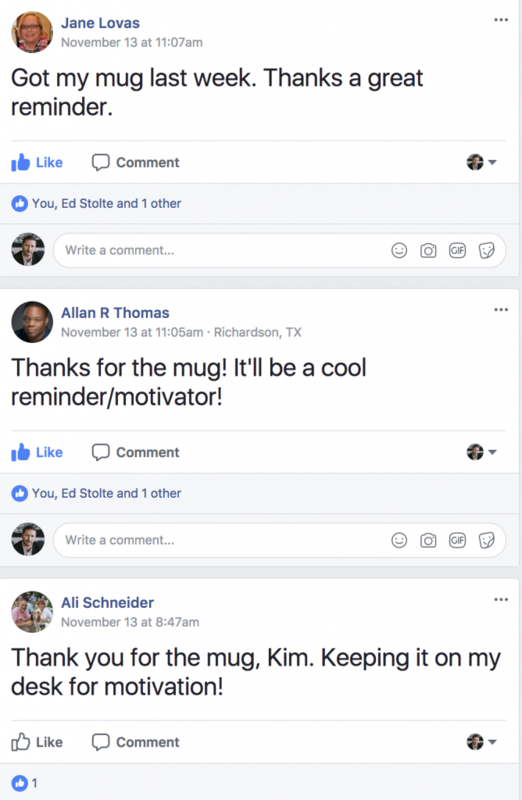 Next week we will dive into “referable moments”, how to recognize them and what to say when you do. This strategy enabled me to get predictable referrals each and every week like clockwork while turning the person who gave you the referral, into a hero. Talk to you then!